The air traffic control systems were installed by Thales ATM. Infrastructure and particularly road links to the airport are generally good. The redevelopment of Sir Seewoosagur Ramgoolam International Airport is part of the government’s plan to commercially exploit the increasing number of passengers passing through the airport. 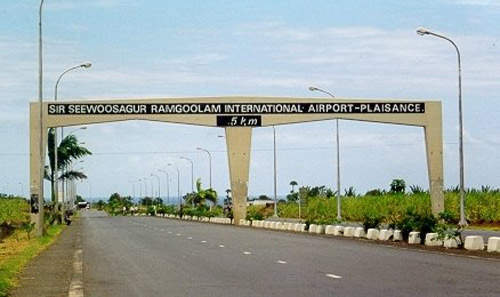 Sir Seewoosagur Ramgoolam International Airport is located just outside Port Louis, the capital of Mauritius. The island of Mauritius is situated in the Indian Ocean, approximately 855km off the east coast of Madagascar and 1,800km from mainland Africa. The airport expansion and redevelopment has been carried out at a cost of $20 million. The project was started in 1999 with Thales ATM as the lead contractor for the air traffic control system and was completed in 2000. The airport is now capable of handling 1.5 million passengers each year. The redevelopment of the airport is part of the government’s plan to commercially exploit the increasing number of passengers passing through the airport. The redevelopment also included plans for a new cargo terminal. The management contract for the airport’s redevelopment was awarded to BAA, a company which has considerable experience in managing airports in the UK and around the world. The original plan drawn up before the involvement of BAA outlined a cost of $48 million for the project. The plans were revised to make use of around 8,500m² of existing, unused space with a saving of $32 million on the original costing. The project aimed to upgrade all facilities including: new departure and arrival lounges; new conveyor belts to improve efficiency of baggage delivery; new restaurants; improved immigration, customs and police facilities and new duty free shops at departures and arrivals. Part of the Thales ATM contract included improving the telecoms systems, with: VHF AM ground/air equipment, VHF FM ground/ground equipment, UHF AM point to point link equipment, HF long distance ground/air/ground equipment and VSAT equipment (Remote Island Access). The redevelopment of the airport also included the 5,000m² purpose built automated Cargo Terminal. The terminal caters for existing exports and transit traffic and can accommodate a further 25% growth. The national airline Air Mauritius has invested in five wide bodied extra long range A340 – 300 and two wide bodied B767 – ER aircraft as a commitment to increasing the amount of cargo that the airport handles annually. The project involved the upgrade of the Air Traffic Management System, enabling the Department of Civil Aviation to extend the provision of safe and efficient air traffic and navigational services throughout its vast oceanic airspace. The intention is to position Mauritius as a regional air traffic hub. 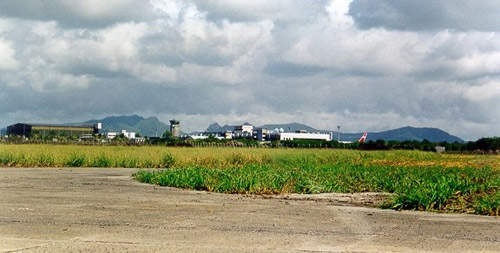 The redevelopment of the airport started in 1999 and was completed earlier than expected in August 2000. 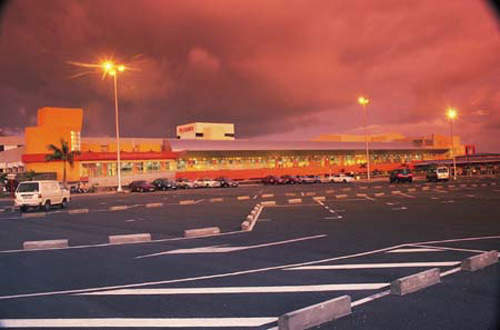 The original plan envisaged the redevelopment work for the airport lasting over two years, but this time was halved through the use of 8,500m² of existing space within the airport. An area of 5,000m² was used to build a new cargo terminal. The terminal has separate storage rooms for perishables, dangerous goods, vulnerable and valuable freight. The terminal was equipped with the Sabre Cargo Plus computerised system, which provides facilities for bookings, terminal warehouse control, airway bill data capture, rating and tracking of consignments. BAA signed a five-year management contract with Airports of Mauritius Co Ltd. to manage the airport operations and related activities. BAA will receive a performance related management fee for the duration of the contract. There is an option for a further five years after the completion of the current management contract. Thales ATM was awarded a contract for the provision of an Air Traffic Management System. In addition, comprehensive operator and maintainer training was provided. Equipment was sourced from both international and local suppliers. Thales ATM relied heavily on local companies to install, support and maintain the systems.